Home » Blog » Why Online Education is becoming a preferred choice these days? In today’s world where time, money and convenience demands utmost importance from an individual, the revolution of the World Wide Web has brought along itself another innovation(in the field on Education) in its already existing buckets of Pros. Decades ago, most would have never envisioned the concept of Online Education and today it stands as a powerful, compelling alternative to traditional teaching via coaching classes and study desks. Study reports predict that Online Education will easily surpass a revenue exceeding more than 107 billion dollars worldwide within a couple of years and yet it has not been given due credit for its merits in spite of offering a plethora of benefits to the consumer. The concept of Online Education is somewhat kind of alien to the Indian Audiences however, their perception and belief are now are taking a 180-degree rotation. Indians are topping the list in regards to preferring Online Education over conventional Education coaching classes. 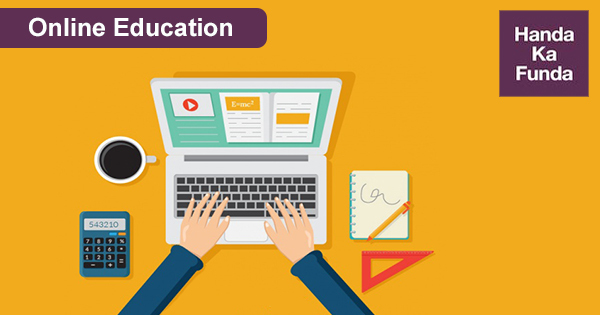 In this article, we are going to explore some of the obvious benefits of E-Learning. With the internet, you can access anything from any part of the globe. That’s the beauty of it. People would argue that clearing doubts require face to face interaction with peers or faculties. However, with sophisticated tools like the IRC(Internet Relay chat room), Screenshots apps, and a more graphic interface explanation software, Online Learning has become much more fun and innovative. Users can go to chat rooms to meet up with batch mates, peers and discuss their study problems. Online Learning has provided a ton of relief for major issues like time and convenience. This era that we are now a part of demands consistent effort and dedication to achieve our goals. Having some free time in your college, then why not put that to use to attend some online classes? Or you might be free from the day to day workload of your office and you can surely use that time to attend your subscribed course. A major reason for the above statement is that online classes get a lot of subscribers due to its time convenience and lesser subscription cost. Also, the subscriber can playback the video according to his own pace, thus allowing him to grasp the concept much more easily. You may be wondering, how it can be? Well, the reason is simple. In an online video, the instructor can cover a lot of topics in detail which allows the students to playback them at their own convenience. Coaching classes may want to provide more in-depth details and analysis for their major topics, however, due to time constraints, they are often limited to cover syllabus only as much as needed. With so many powerful applications and ways, learning something new can be made innovative and pleasant and it ought to be like that. With Powerful video editors, the E-Learning videos can be made extremely engaging and can convey a ton of useful information within a short span of time. Also being online, it saves your time to Google something about your topics. Doing the same in a coaching class might not be feasible as well as time-consuming. Also, the sense of connectivity that Internet provides is invaluable. About us:- At Handa Ka Funda, we are on our mission to strive for excellence in the field of Online Education. We cover syllabus for major MBA exams like CAT, XAT, IIFT, SNAP. In addition to those, we provide tutorials for preparing of IBPS PO and SBI PO. could we add exposure to games like blue whale,bidding sites,piracy, hacking as cons for the given subject?